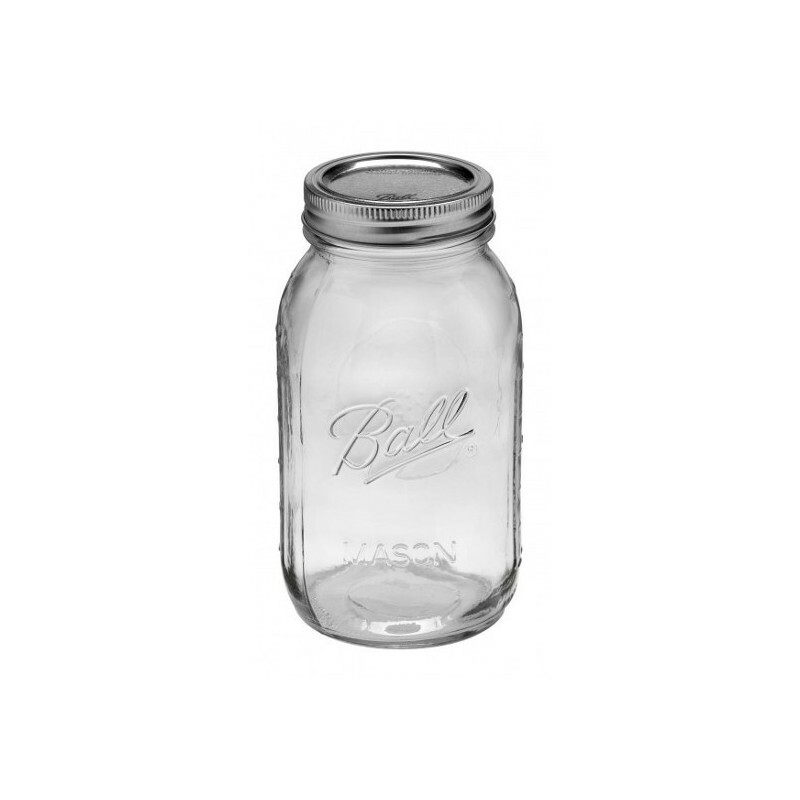 A genuine Ball mason regular mouth glass jar originally designed for preserving and can also be used as a quirky drinking glass, party decoration, glass storage and more. 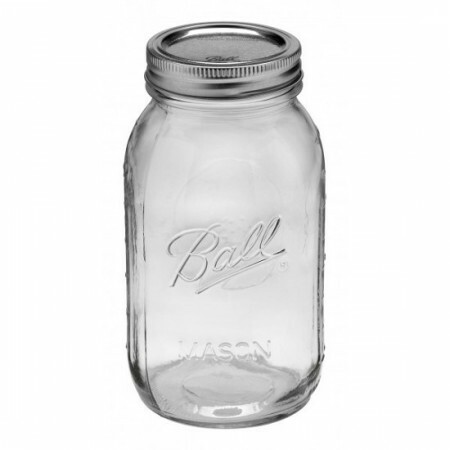 1 quart 950ml capacity. 950ml / 1 quart capacity. 950ml / 1 quart capacity. 165mm high with a 86mm regular mouth. This is one of the best jars I have bought for storing nut milk. The seal lid means that it doesn't spoil or sour. Use every day!